KUALA LUMPUR: Malaysia and China remain committed to continue strengthening their bilateral relations despite the change of government in Malaysia. Both Malaysia and China also agreed that small issues should not affect the relations between both countries that go back hundreds of years. 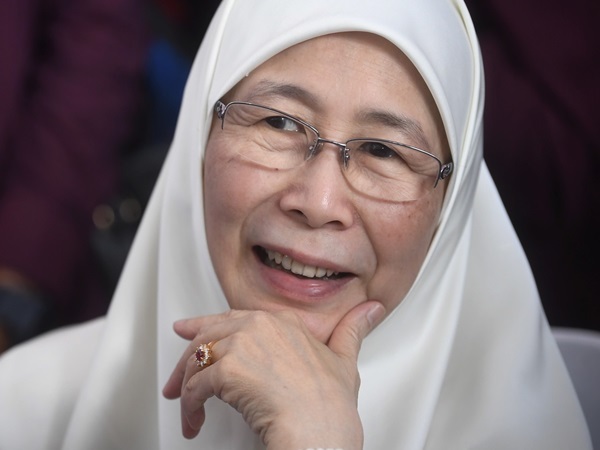 This was the main message being conveyed during the courtesy call of the Ambassador of the People’s Republic of China to Malaysia Bai Tian on Deputy Prime Minister Datuk Seri Dr Wan Azizah Wan Ismail in Parliament on Thursday, said a statement issued by the Deputy Prime Minister’s office today. Dr Wan Azizah said the relationship between both countries had grown from strength to strength. “Now we have more robust dealings with each other in the sphere of the nation and also women. We want more empowerment and advancement for women,” she said. Meanwhile, Bai said China and Malaysia have a historical friendship going back many years, with the exchange of people dated back to ancient times of Admiral Cheng Ho’s historical visit to the Straits of Melaka. “So whatever challenges that are taking place in politics, the exchange between the two people will always be there,” he said. These, he said, were the fundamentals of the relationship between the two nations. “So let us further strengthen the people-to-people exchanges and cross-cultural communications because if you have more exchanges, you will get to know the beauty of each other’s cultures and beliefs. We can learn from each other so that we can help each other to survive,” he said. Bai suggested organising exchanges between Malaysian women federations and those in China so that “these sisters can learn from each other”. He added that China was Malaysia’s largest trading partner while Malaysia remained an important destination for Chinese foreign direct investment (FDI) as well as Chinese tourists. Dr Wan Azizah said Malaysia would like to increase trade with China in other spheres in addition to existing ones and would like more Chinese tourists to visit the country. “This is a new government, a new environment in that sense. The change of democracy happened peacefully. The harmony that we show and practice is important,” she said. For the period between January to March 2018, total trade with China increased by 0.3 per cent to reach RM68.94 billion compared to the corresponding period of 2017. Total exports increased by 0.3 per cent to RM29.18 billion while total imports increased by 0.3 per cent to RM39.75 billion for the same period. On the other hand, Bai said he would like to see more people “come and go” between both countries. “I would like to encourage more exchanges, not only between the Malaysian Chinese with the Chinese in the mainland but also between the Malay students and the Chinese students so that our relationship will grow more in strength and be more widely seen and accepted,” he said. He added that Malaysia is blessed with a multi-cultural, multi-religious and multi-racial society and that the harmony among the different races and cultures “is very impressive” to the world. Bai also expressed his admiration for the deputy premier’s strength in the face of adversity. Next Article Enough with politics, can we get down to work?